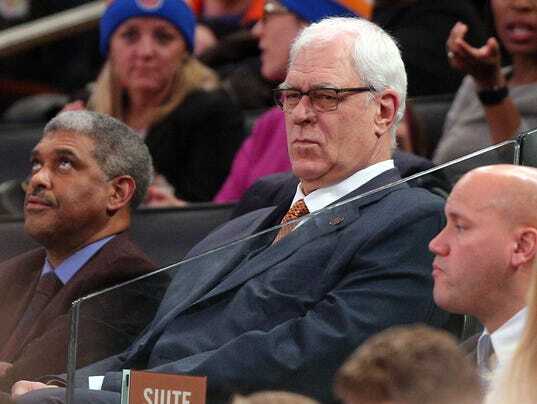 The New York Knicks and embattled team president Phil Jackson are parting ways — according to multiple media reports — with the official news of Jackson’s departure from the struggling franchise forthcoming. Owner James Dolan’s uncertainty with Jackson as the organization’s top decision maker apparently took its toll, considering the former Hall of Fame coach still has $24 million left on his original five-year contract. New York has missed the playoffs for four consecutive seasons and lost at least 50 games in the past three — all under Jackson. The Knicks were clearly in a rebuilding phase. But the timing of the breakup shows it was less about underachievement and bad decisions, such as Jackson’s hiring and firing of former player Derek Fisher, and more about Jackson’s recent handlings with the Knicks’ two stars, Kristaps Porzingis and Carmelo Anthony.